Abroo Bashir, Suhail Mansoor, Mohammad Yousuf Naikoo. Background: Worldwide, Breastfeeding is essential in an infant’s nutrition and growth. There are various misconceptions and cultural beliefs regarding breastfeeding, and it can lead to undesirable consequences. Breastfeeding got hampered in Jammu and Kashmir due to introduction of top milk. Further, no study regarding KAP and breastfeeding has been done from Shopian. Thus, we conducted the current study of KAP toward breastfeeding in Community Health Centre, Zainapora, Shopian. Objective: The objective of the study was to assess knowledge and attitude toward breastfeeding and infant feeding practices among postnatal mothers. 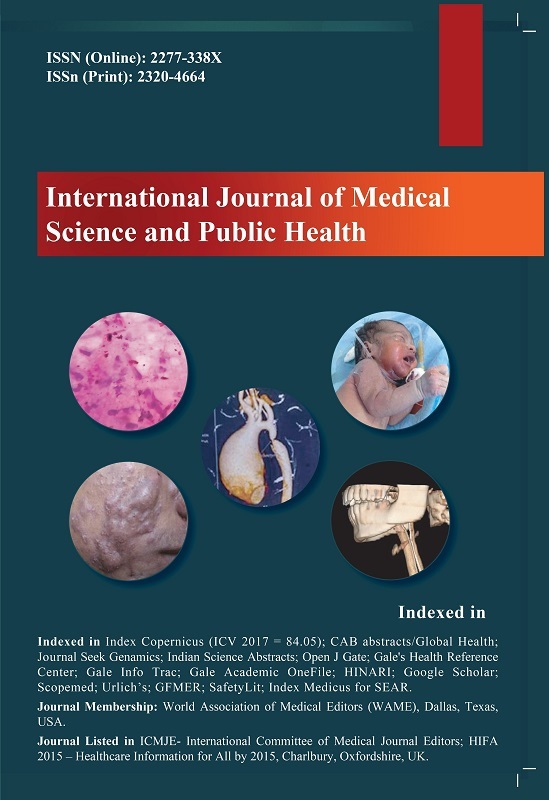 Materials and Methods: A cross-sectional descriptive study was carried out among randomly selected postnatal mothers at well baby clinics in Community Health Centre, Zainapora District, Shopian. Data were collected through interview using a semi-structured questionnaire. Data were entered into Microsoft excel and descriptive analysis was done. Results: Regarding knowledge of breastfeeding, there is very less percentage of postnatal mothers having knowledge about early breastfeeding, exclusive breastfeeding, burping, breastfeeding on demand, and not to give prelacteal feeding. More than 50% of postnatal mothers having knowledge about colostrums being essential for health, breastfeeding creating bonding, and <20% had knowledge of breastfeeding prevent diseases affecting breast. <50% know breastfeeding should be continued up to 2 years. Regarding attitude of breastfeeding, more than 50% of postnatal mothers thought breastfeeding in night and breastfed babies healthier than formula-fed babies. <50% thought not to breastfeed while sick and to sit comfortably while breastfeeding. Regarding practice of breastfeeding, more than 50% of postnatal mothers had given colostrum and prelacteal feeding and feeding bottles still practiced. <10% postnatal mothers started early breastfeeding within 1 h. <40% still started late supplementary feeding and only <20% started breastfeeding on demand. Conclusion: There is poor knowledge, attitude, and faulty practices regarding all attributes of breastfeeding among postnatal mothers.